.... the last time I posted something was November, ridiculous. I've been very lazy, I mean busy! Still working like mad on Randy Cunningham: 9th Grade Ninja, a show we're doing at Boulder for Disney XD channel. I think this is the first time I've mentioned it on my blog, it's a lot of work but I get to flex the aul' animation muscles quite often so I'll have some good stuff for my reel when it's all done! I think it premiers this Autumn so keep an eye out. Gill recently started up a new Boulder Media Art Blog which you see here. Every month a random theme is picked and everyone runs with it whatever way they wish, it's a fantastic idea and going strong I'm happy to say! 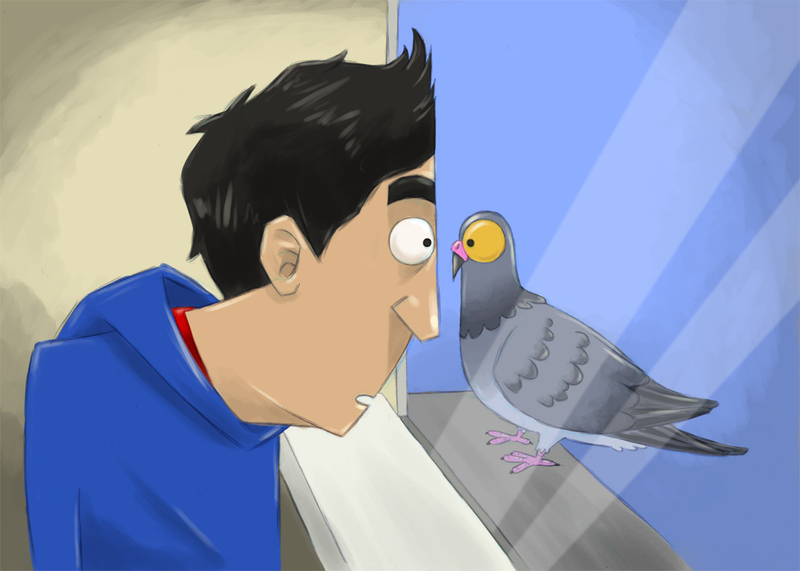 This was my piece for the theme 'How I See Myself' and I call it 'Easily Distracted' ........... HA, pigeon. 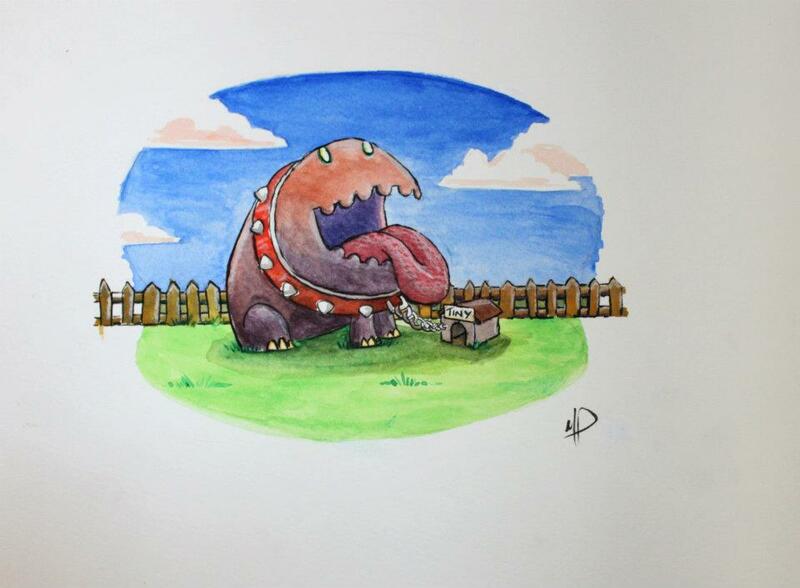 This was my submission for an exhibition/auction that was held in the studio a few months ago to raise money for charity. Estrella and Bianca did a great job organising it, we were hoping to raise a few hundred but I think the final figure was around 3,000 if I remember correctly which was amazing! I sold this fella for 30 or 40 quid, not quite sure which. Lastly, Estrella, Bianca and now Simon are holding another exhibition/auction at the end of the month to raise more money for charity. This time though it's not restricted to Boulder employees as it's open to the public so hopefully even more money will be raised. I'll be doing a piece for that too which I'll post here when it's done. All the info can be found here. Cheers dude, how's Gobelins going? You must be flying along now! Thanks man, yeah it should be a good show, can't wait! That pigeon picture is the greatest thing you've ever drawn.